The other day my sister and her boyfriend, Rob, brought me some fresh oyster mushrooms that Rob had foraged and gathered. I have to admit that at first I was skeptical to try them, until I learned that their friend, Beth, a certified mushroom expert, had approved them for consumption. How cool to have a source for fresh mushrooms, at least as long as they grow! 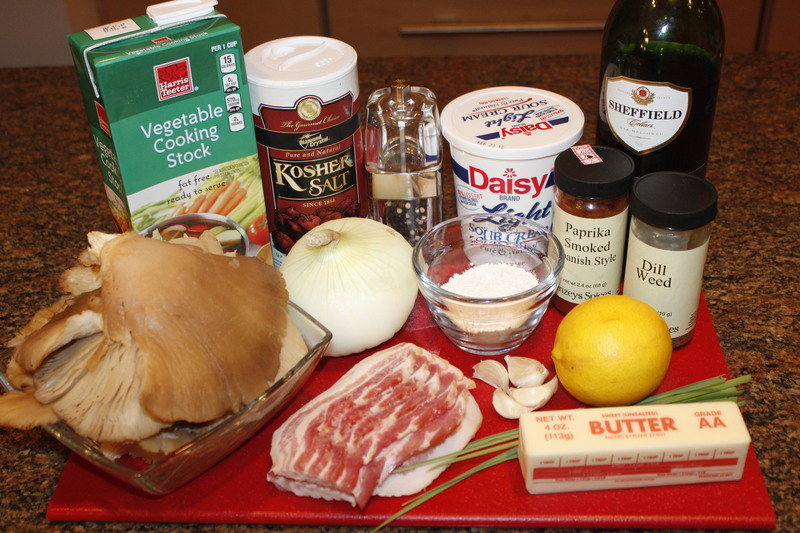 Mushrooms are a great source of vegetable protein, potassium and iron, and are packed with B vitamins. Oyster mushrooms are mild and have a sweet, woodsy taste. Nancy had asked if I had any good mushroom soup recipes, so I knew that was what I would make with some of these oyster ‘shrooms. 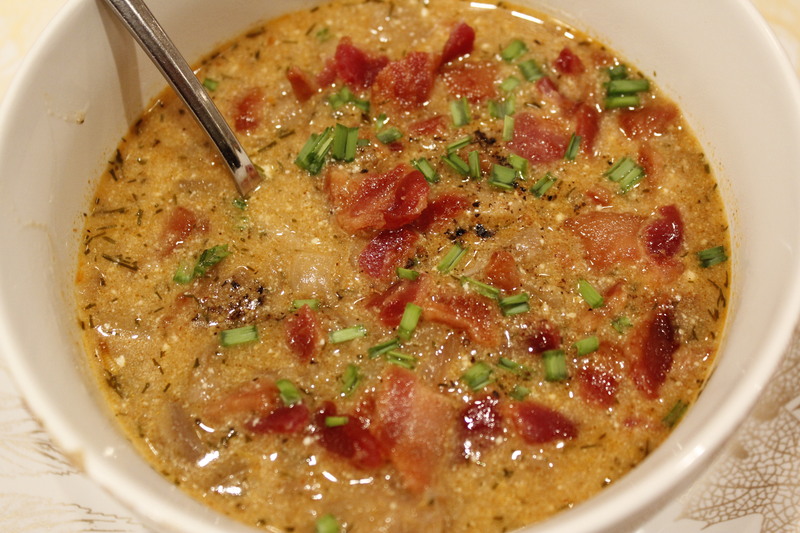 Since it is winter, I wanted a creamy soup, so after looking at several recipes I came up with this tasty version, which, by the way, is Lexi approved! 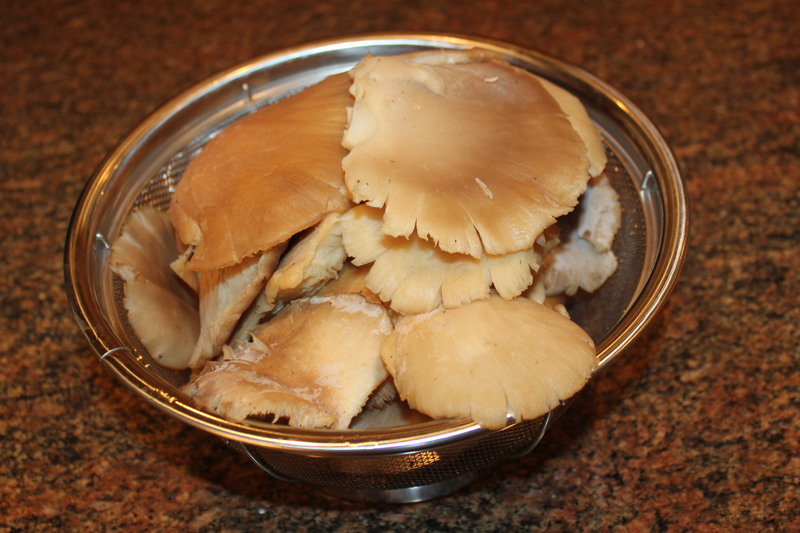 If you don’t have access to fresh oyster mushrooms, no worries. I’m sure you can easily substitute other types found in your grocery store’s produce department. 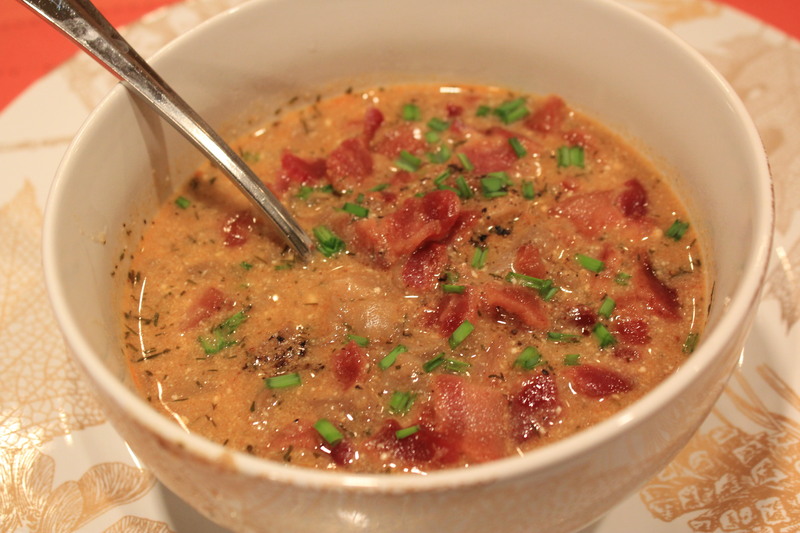 In addition, you can keep this soup meatless, or kick it up some and garnish it with crispy bacon. Your choice! 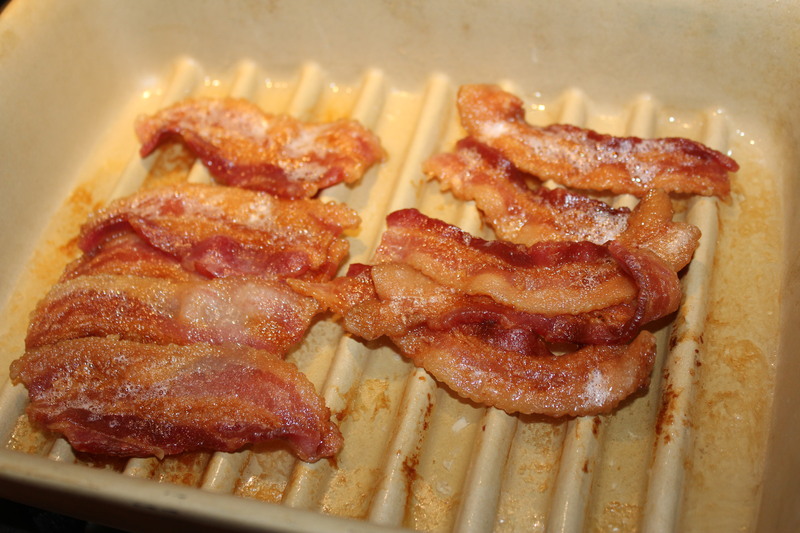 Cook the bacon until it is nice and crispy, drain on a paper towel, and crumble it once it’s cool enough to handle. 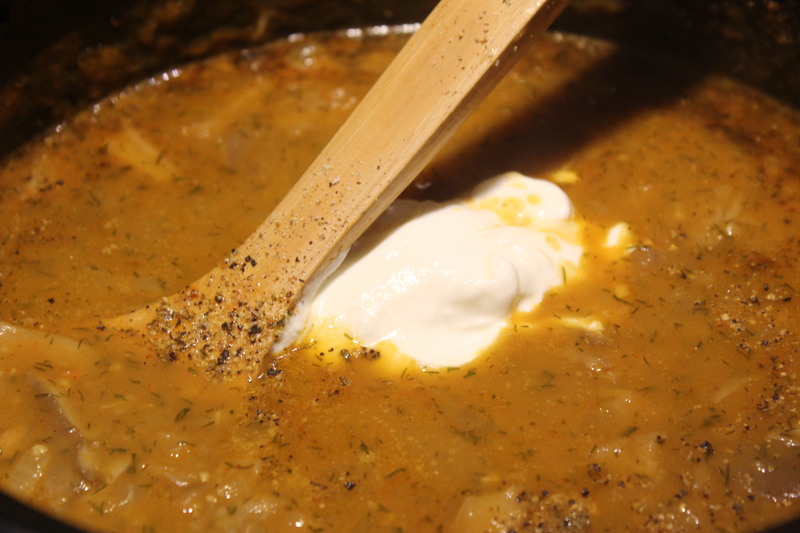 Melt the butter in a large pot (love my Rockcrok® for this!) Add the onion and garlic and sauté for a couple of minutes.Add the mushrooms and cook over medium heat, until all of the juices have evaporated, about 15 or 20 minutes. You will want to occasionally stir them. 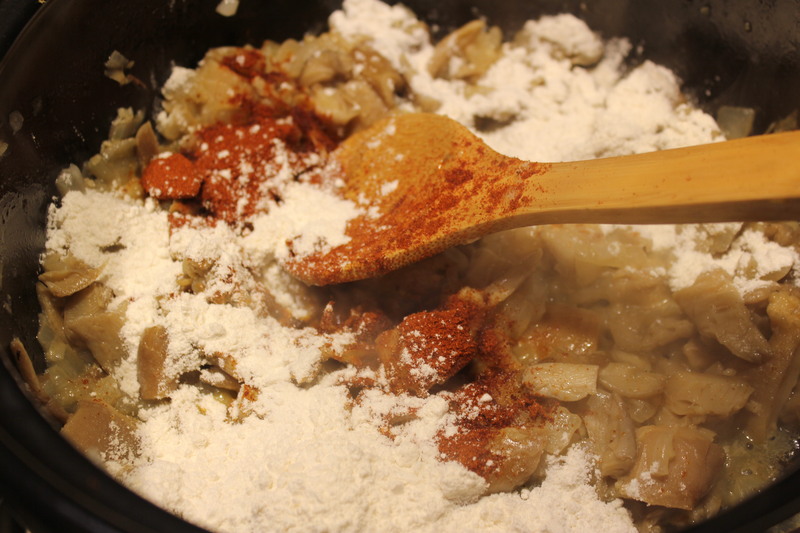 Stir in the flour and paprika and cook for a few minutes. 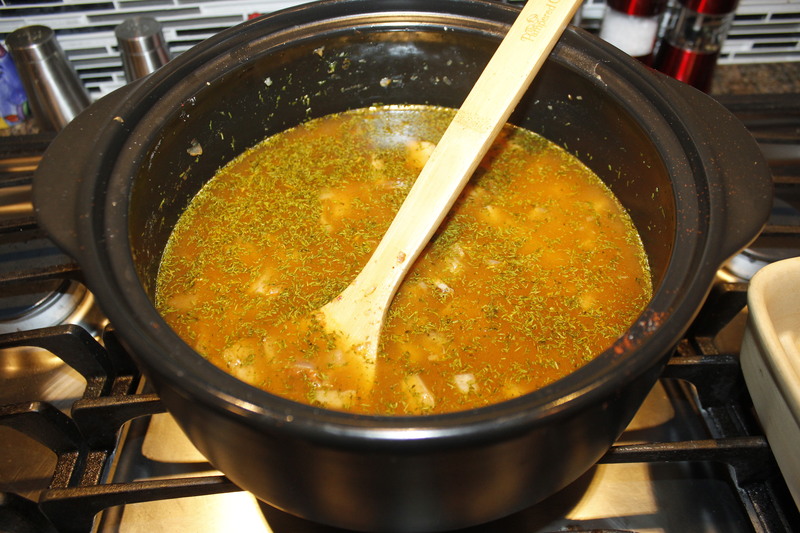 Add the broth, dill weed, sherry, salt and pepper. 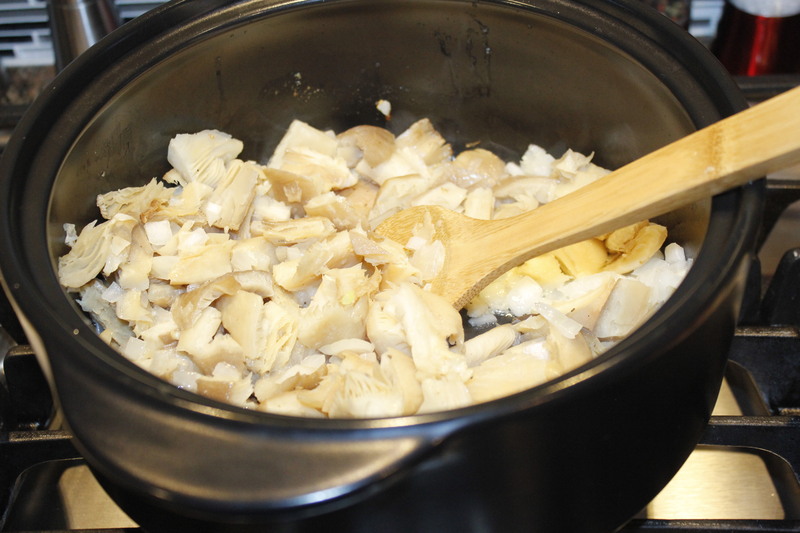 Bring to a boil, reduce heat and simmer for 20 minutes. Mix in the sour cream and lemon juice, and remove from the heat. Taste to see if you need to add more salt or pepper. Garnish with some of the crumbled bacon and fresh chives. Or, leave off the bacon for a meatless meal. 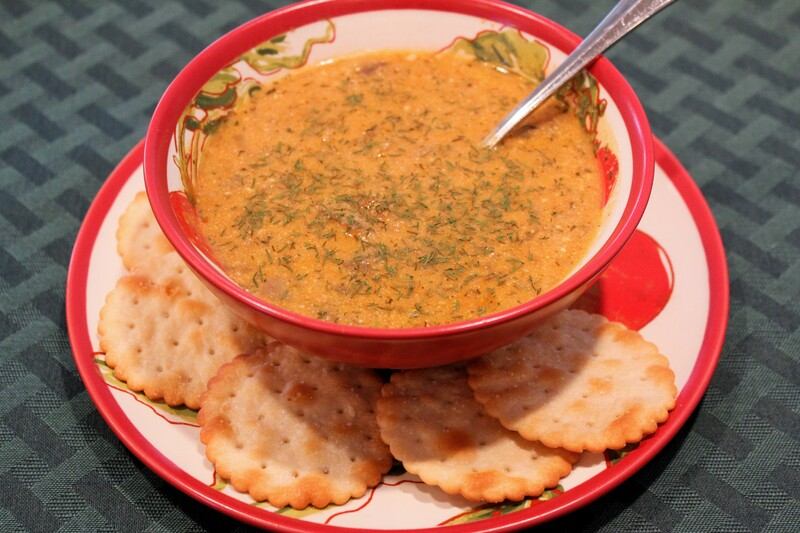 Either way, be prepared to savor each spoonful of this delicious soup! This entry was posted in Pampered Chef tools, Recipes, Soups and Such, Vegetables/Vegetarian/Vegan and tagged eat drink and be merry, Kelley Chisholm recipes, Mushroom soup recipes, Oyster mushroom recipes, Oyster mushroom soup recipe, vegetarian recipes. Bookmark the permalink. YUM YUM!!! Wish I could have sampled that! 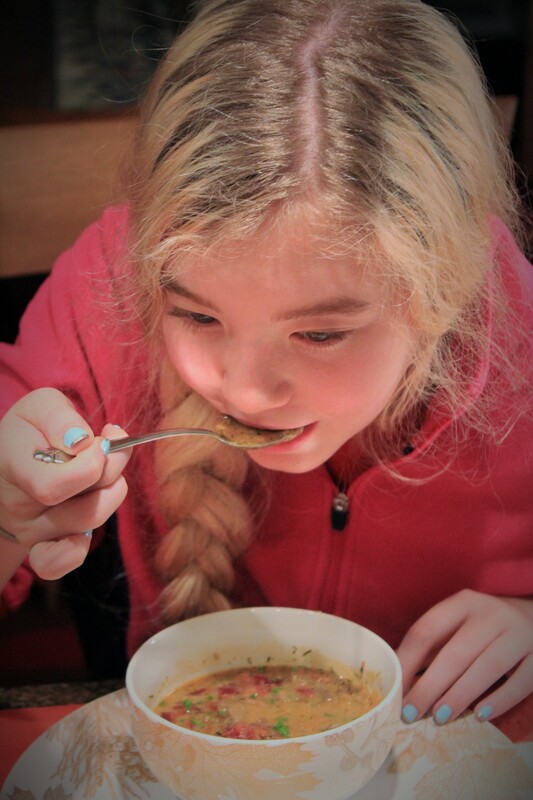 You would really like this soup, Eleanor! Give it a try when mushrooms go on sale. It is yummy! Give it a try and let me know what you think!